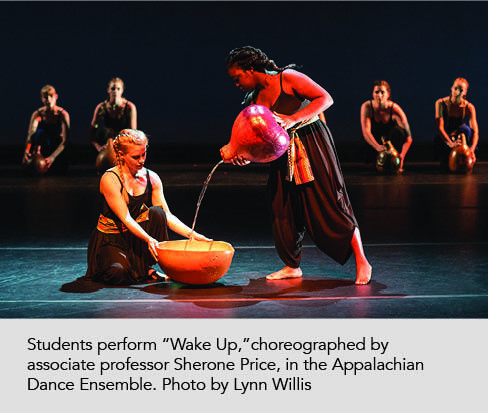 Department Chair Kevin Warner, associate professor of dance studies at Appalachian, noted that the season includes three works recently named among the 25 best American plays of the last quarter century by the by the New York Times, plus Shakespeare’s most popular classic comedy. 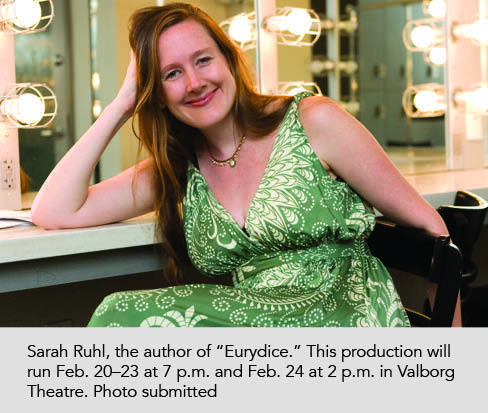 To celebrate the 25th anniversary of Valborg Theatre, which opened in the spring of 1994 with a production of Shakespeare’s “A Midsummer Night’s Dream,” the department is offering this production as well. Dr. Derek Davidson, assistant professor and chair of the play selection process, is pleased with the committee’s decision to revisit Shakespeare’s work as part of this anniversary season. 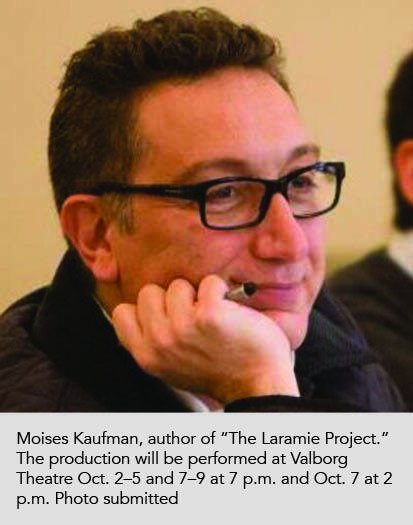 “What better way to mark the occasion than by reviving the first play ever produced in Valborg Theatre?,” he said. Tickets are available in person at the Schaefer Center for the Performing Arts box office weekdays 9 a.m.–5 p.m., by phone at 828-262-4046 and online at www.theatreanddance.appstate.edu. A full schedule of the 2018–19 season follows. “Movies by Movers” is an annual festival dedicated to the celebration of the conversation between the body and the camera. The festival contributes to the history of collaboration between the art of live movement and the perpetual nature of film. Students, emerging artists, seasoned professionals, even those who would not consider themselves “artists,” but have great ideas, find room in festival to share their craft. Sept. 26–29 at 7 p.m., Sept. 30 at 2 p.m. This popular showcase is a fast-paced, high-energy performance by new students. The theme for the 2018 showcase is “Time,” and the record-breaking incoming class of 73 students will make their Appalachian debut. First-year theatre and dance students will present devised scenes and perform original choreographic work. Pieces featured in the showcase are personal to the performers, highlighting their past and current experiences. Oct. 2–5 and 7–9 at 7 p.m., Oct. 7 at 2 p.m. This play was inspired by the reaction to the 1998 murder of gay University of Wyoming student Matthew Shepard in Laramie, Wyoming. The murder was denounced as a hate crime and brought attention to the lack of hate crime laws in various states, including Wyoming. The play draws on hundreds of interviews conducted by the Tectonic Theatre Company with inhabitants of the town, company members' own journal entries, and published news reports. Ten actors portray more than sixty characters in a series of short scenes. 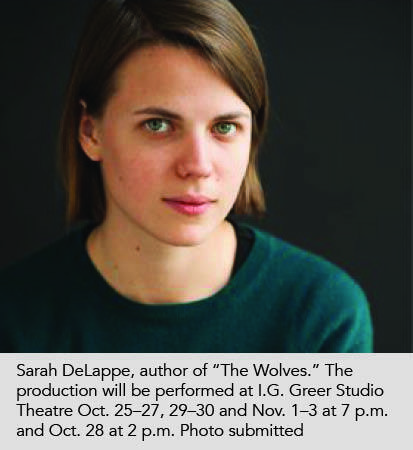 Oct. 25–27, 29–30 and Nov. 1–3 at 7 p.m., Oct. 28 at 2 p.m.
AstroTurf, orange slices, acceptance and anxiety. DeLappe's Pulitzer Prize nominated play offers a glimpse into the complex inner lives of nine teenage girls on an elite girls' soccer team. Each has a unique story, but they share a common history. Will their community hold through crisis? Nov. 14–17 at 7 p.m., Nov. 18 at 2 p.m. 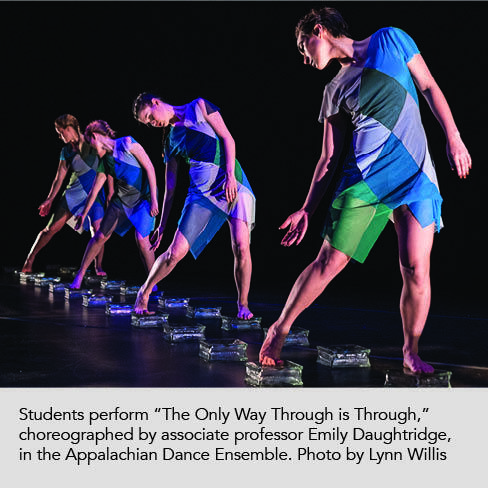 This popular annual concert features Appalachian faculty, students and guest artists showcasing their talents in choreography and performance. The 2018 fall choreographers include students Hayley Beichkart, Rachel Bohannon, Emma Dubinski and Lyndsey Porter, faculty members Emily Daughtridge, Susan Lutz and Ray Miller, along with new work by guest artist Laura Pettibone. Feb. 20–23 at 7 p.m., Feb. 24 at 2 p.m.
March 21–24 at 7 p.m., March 25 at 2 p.m. This popular annual concert features Appalachian faculty, students and guest artists showcasing their talents in choreography and performance. The 2019 spring concert is scheduled to include work by faculty Laurie Atkins, Cara Hagan, Sherone Price and Chris Yon, as well as a choreographic world premiere by an internationally-known guest artist. April 10–12 at 7 p.m., gala performance April 13 at 8 p.m., April 14 at 2 p.m.
April 26 at 7 p.m., April 27–28 at 2 p.m. The Department of Theatre and Danceis one of seven departments housed in Appalachian’s College of Fine and Applied Arts. Its mission is to facilitate transformative experiences for students and the public, which cultivate compassionate, creative and collaborative communities through theatre and dance. 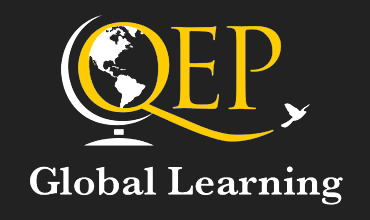 The department also offers coursework for integrated learning through the arts to the general university student population. Its dynamic co-curricular production program provides exemplary theatre and dance experiences to departmental students, the university community and the region.